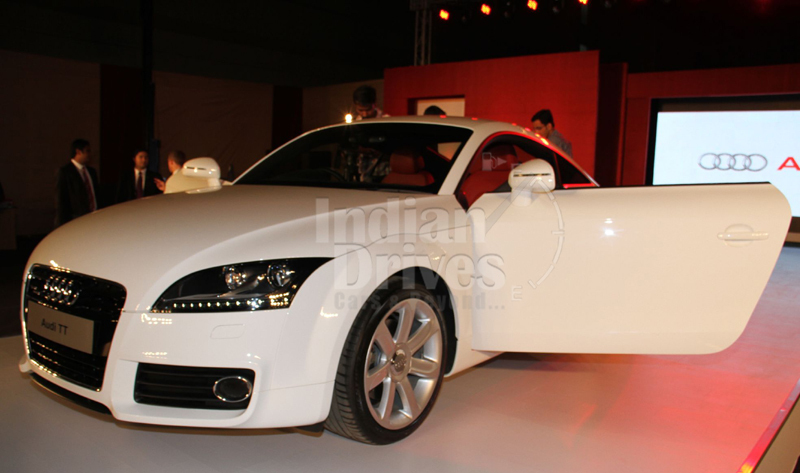 Audi India added the TT Coupe to its lineup of exotic cars in India. 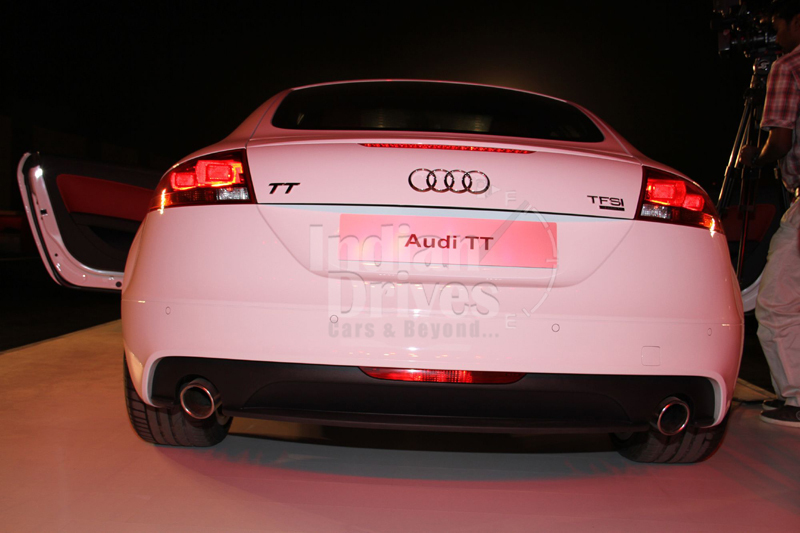 With twice the power of an Audi A3, the new TT Coupe comes with a mouthwatering price of Rs 48,36,000 (ex-showroom). Coming to the shores via Completely Build Units (CBU), the Audi TT deliveries will begin by June this year. Audi has a strong image in India, and with the introduction of the TT Coupe, the German automaker is targeting the sportscar market, which sees an annual sale of just 250 units. For the debut year, Audi will offer 30 units of TT Coupe, and in the following year it targets 50 cars. On the outside, the Audi TT has grown broader and longer to give a more sportscar appeal; while on the inside, the coupe has a dark interior that gives a sporty and elegant appearance. The accents are given silver finish while the rings, frames and strips feature high-gloss black. Though the interior is dark, it is very practical, and the leather seat covers reduce the thermal heating up to 20-degrees Celsius when baked in sun. Audi TT features symphony audio system, driver infotainment system, automatic climate control system and on board efficiency program as standard. Now lets get to the interesting bit. Audi has powered the TT Coupe with a 2.0-litre TFSI (turbocharged fuel stratified injection) engine that pumps out a massive 211 hp between 4300 – 6000 rpm; that is twice the power of the Fiat Linea. Torque figure is 350 Nm between 1600 – 4000 rpm and it propels the car from 0-100 kmph in 5.6 seconds. Mated to the petrol motor is a 6-Speed S-tronic automatic transmission, and the car can do speeds up to 250 kmph on a permanent all-wheel drive. With extensive use of aluminum in the body and a space frame chassis, the Audi TT sits in at just 1240 kgs, giving a fuel efficiency of 10 kmpl. 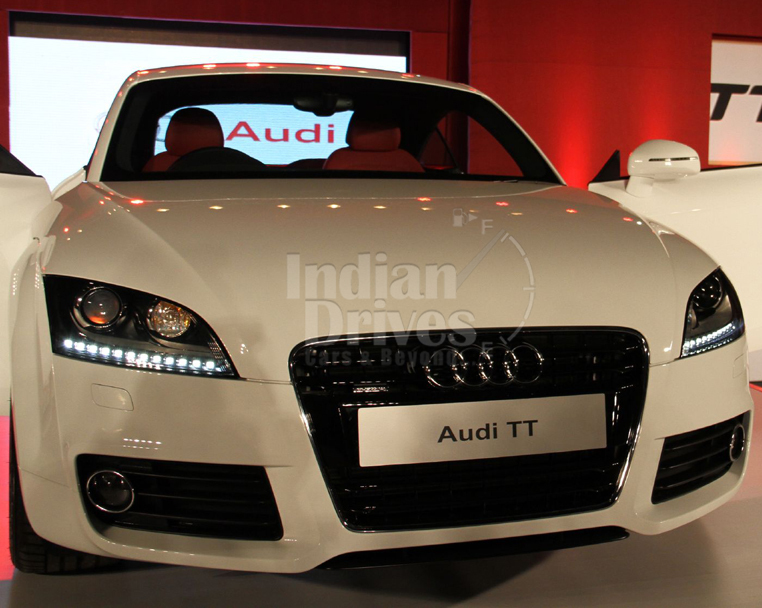 Audi has a diesel variant of TT Coupe in the international market, however there is no hope of it making to India. It will compete against the Jaguar XF, Porsche Boxster and BMW 3-Series. With an aggressive pricing, the Audi TT is the most dominating in the sportscar segment.